Phase Change Products Pty Ltd (“PCP”) researches, develops and markets phase change materials (“PCMs”). Development of PCP’s PCM commenced in 1994. PCP has a full range of technically successful PCMs that have been trialed and proven in a large number of different applications. These trials and commercial applications have been conducted by a variety of organizations around the world that required thermal energy storage products. 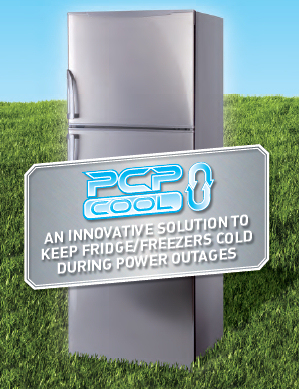 PCP has a continuous program of researching and developing new or improved products. Independent assessments of PCP’s products have confirmed the consistently high quality of our products and the commercial suitability for their applications. PCP commercially manufactures the PCM products in Perth, Western Australia for distribution to a range of customers on all continents of the world. PCP can readily manufacture and supply its full range of PCM in bulk or encapsulated form. Keith is involved in all aspects of the business, from the design, production and application of PCM’s, to building a client base and relationship marketing with parties from China, India, the USA and Australia. Keith’s expertise stems from his 24 year involvement in the Agribusiness Industry. During this period Keith has been responsible for farming operations, exporting products, setting up distribution channels, and managing customer relations, in the Australian and Asian regions. This specific experience assists Keith in his regular travels to China, India and the USA as PCP expand the distribution of their products to these regions and other parts of the world. Gavin has in excess of 18 years experience in the production, development and testing of PCM’s and PCM applications. Under the guidance of our Engineers Gavin conducts tests in the PCP factory to determine the appropriateness of a particular application. The results are then used to determine if the application should proceed or whether modifications are required. Gavin has significant background knowledge that is invaluable to PCP and its customers.